Amikor a klasszikus mikrofonokra gondolunk, - az első márka ami eszünkbe jut az a Neumann. Az 1928-ban az un. arany huszas (Goldene Zwanziger) években alakult vállalat termékei etalonnak számítanak a hangtechnikában. ‘Golden Twenties’, which came to an end when the 1929 stock market crash ushered in The Great Depression, 2018 finds the company celebrating its 90th anniversary. To mark the occasion, Neumann is running a ‘90 Years in 90 Days’ special, which not only offers substantial savings on some of their best loved products, but also includes the chance to win two days worth of recording at Adelaide’s Chapel Lane Studio, as well as flights and accommodation for two people. We’ve gathered together some of the products that would be at the top of our wish list, including some background information on each. The U 67 is one of Neumann’s most famous designs, with its classic tube circuitry providing a sound that dominated studio recording following its release in 1960. 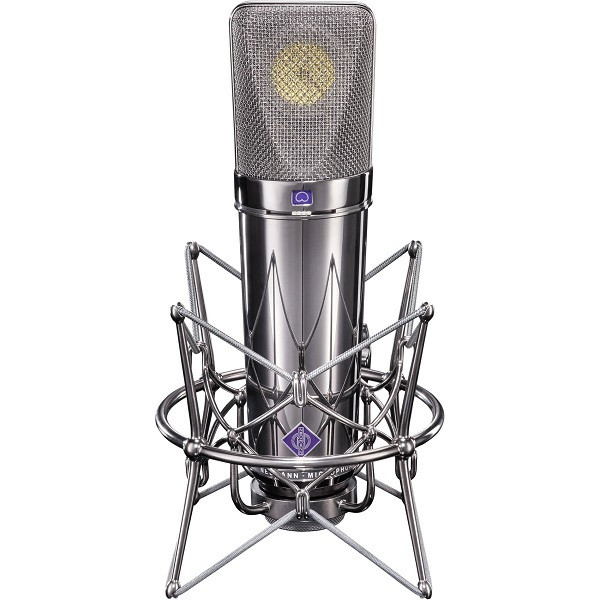 Billed as the successor to the company’s highly regarded U 47, the U 67 was the first model to contain Neumann’s now-famous K 67 capsule, which continues to be used in the industry standard U 87 A. 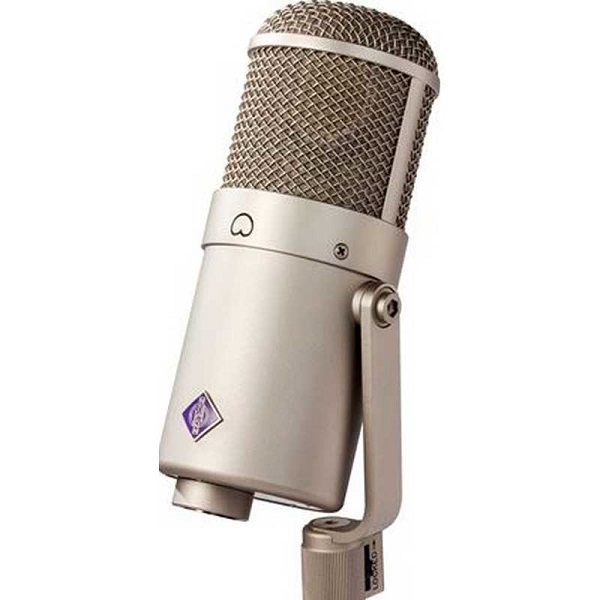 With its three selectable polar patterns as well as a switchable low cut filter to compensate for proximity effects from close micing, the U 67 is a tremendously versatile microphone, capable of delivering smooth top end and detailed mids, making it a go-to for many engineers when recording vocals. 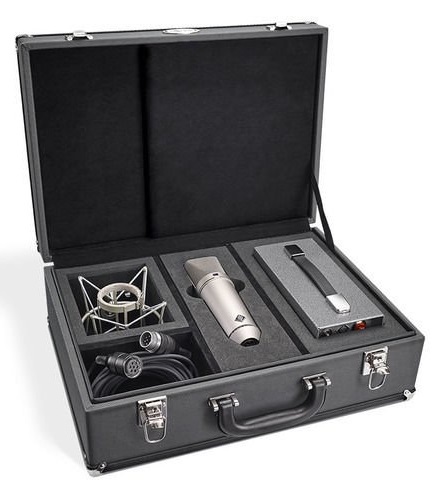 Although the model was discontinued in 1971, Neumann has reissued it this year using the original specifications, with each model being hand-made and soldered in Germany. 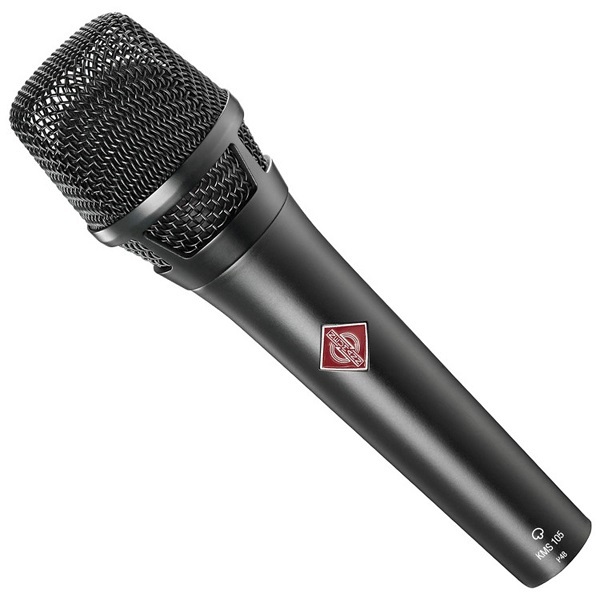 The U 87 is one of the world’s most beloved and well known modern vocal microphones. Its bright, punchy sound makes it the perfect choice for rock and pop, while its switchable polar patterns – cardioid, figure of eight, and omni – ensure it remains versatile enough for use with orchestras, acoustic guitars and upright bass to name a few. This year sees the microphone celebrate its 50th birthday, a milestone marked by the release of the Rhodium Edition. Encased in the extremely rare metal rhodium, which reflects more light than any other precious metal and is rarer than gold, only 500 of these units were made worldwide, which is sure to lend your recordings a touch of class. 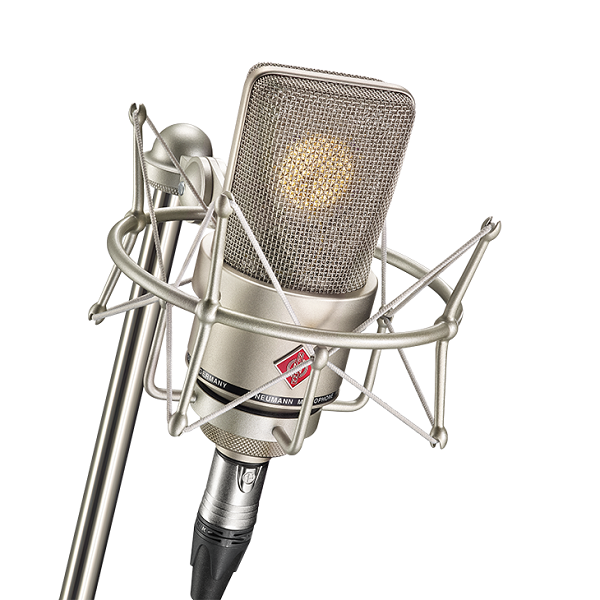 Neumann didn’t stop innovating there, as one of their best sellers is the multi-purpose studio mic dubbed the TLM 103. Modelled after the U 87, but budgeted towards the burgeoning home studio market, this large diaphragm mic became hugely popular following its 1997 release. With a self-noise level of just 7dB(A), the TLM 103 offered incredible detail for its price point, while its frequency boosts in the speech intelligibility range of 6-15kHz meant it captured clear vocals that easily cut through mixes. 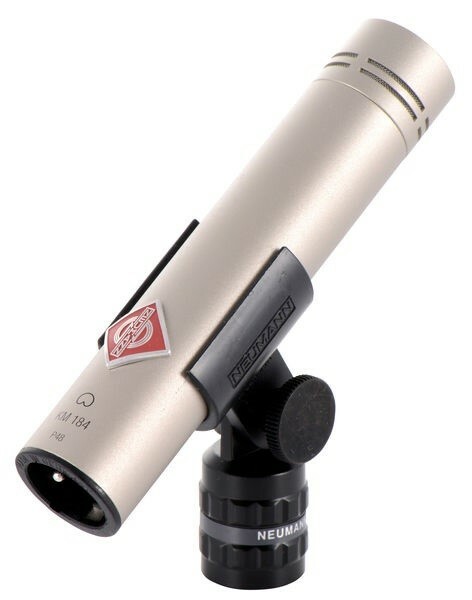 Neumann is of course known for more than large diaphragm vocal mics, as their small diaphragm ‘pencil’ condenser, the KM 184, is a classic in its own right. Most commonly used as a stereo pair, the transformerless electronics, thin design and cardioid pickup pattern result in a natural sound, while its high Sound Pressure Level (SPL) capability makes it the perfect choice for both drum overheads and classical piano. 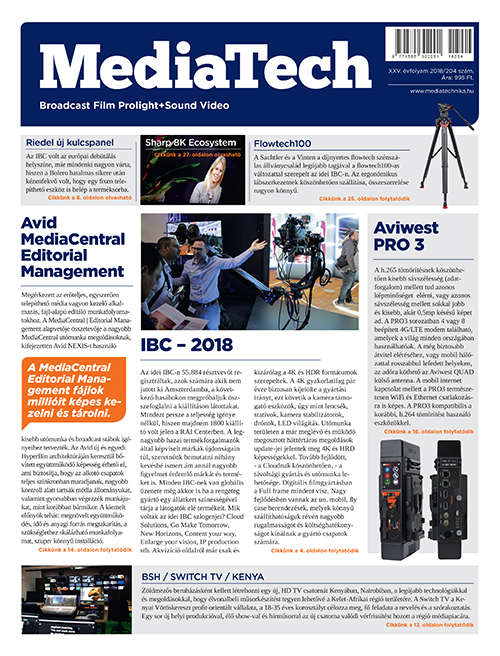 Basically, you can put these things in front of just about anything and expect a faithful reproduction, plus their compact size makes them a great choice for broadcast applications. While you are most likely to come across Neumann products in a studio environment, the KMS 105 is designed to bring studio quality vocals to the stage. The unit is built with the level of ruggedness necessary for live performance use, but uses a condenser capsule rather than the more common dynamic, while it can also withstand SPLs of up to 150dB without clipping. Its tight supercardioid polar pattern focuses its input sound only from the singer directly in front of it and ensures high gain before feedback. 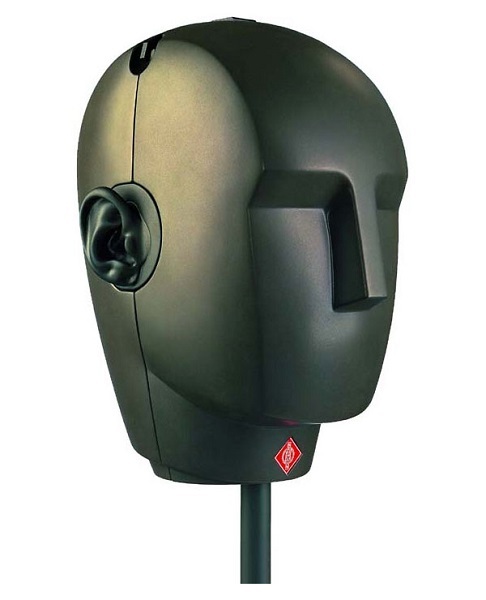 Here’s something different: the KU 100 dummy head is a binaural stereo microphone designed to create ‘3D audio’. The idea is to recreate a spatial listening experience identical to listening with your own ears rather than listening to a recreation of audio through a microphone and then through speakers. The KU 100 consists of two omnidirectional condenser capsules built into the ‘ears’ of an enclosure resembling a human head, which should then be placed to record at the optimal listening position in the studio. The result, rather than simply left and right, is an immersive three-dimensional sonic image surrounding the listener. 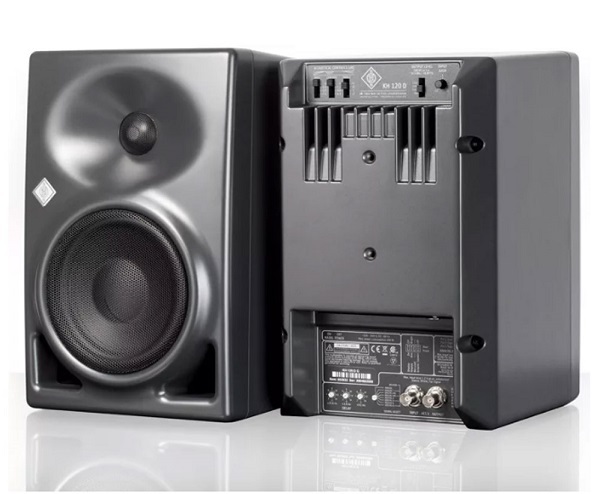 Not content to just own the microphone market, Neumann also began making high quality studio monitors in 2010, using their expertise in electro-acoustic transducer technologies to create the KH 120 D. A powerful, compact, bi-amplified studio monitor with superb impulse response and resolution, the KH 120 D is designed for excellent close range monitoring. 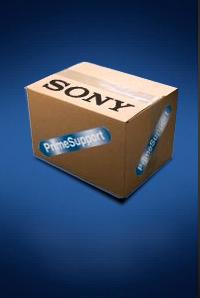 As the ‘D’ suggests, this is the digital version – an analogue version was also released.